Most of us are familiar with news stories describing how certain bacteria have become resistant to previously life-saving antibiotics. Now we have drug-resistant parasites, as in a newly discovered strain of super heartworms. Heartworms are a leading cause of death in dogs and cats in the US. Heartworm disease is transmitted by the bite of infected mosquitoes. For the past few years, veterinary researchers have been tracking a particularly tough strain of heartworms in the mosquito heaven known as the Mississippi River Valley region. Dogs in this region have been reported to develop heartworm infection despite using preventives. It turns out there’s a new strain of super heartworms that have evolved to be increasingly resistant to the most common heartworm preventive drugs – macrocyclic lactones (ML). This class of drugs includes all of the major active ingredients of heartworm preventives - ivermectin, selamectin, milbemycin oxime and moxidectin. The good news is that our existing drugs still easily prevent the vast majority of heartworm disease. In fact, research proves that by administering a monthly preventive as prescribed, even the Mississippi River Valley, mutant super heartworms can be defeated. As long as the drug is given every month, even these super heartworms can’t cause infection. The problem is many pet parents forget a dose or two. Missing even a dose could be enough for these super-heartworms to cause an infection in an unprotected dog or cat. Monthly preventives and yearly testing is your best – and only – defense against this deadly disease. In addition to increasing the importance of not missing a monthly preventive and having your dog tested for heartworm disease once a year, there have been big changes in how heartworm disease is treated. For the past several years there’s been a gradual increase in the number of heartworm-positive dogs treated using the “slow-kill” method. For the record, I’ve never recommended nor trusted this regimen. In short, the “slow-kill” technique involves giving only an ML preventive in an attempt to kill adult heartworms. This technique is cheaper, easier, and not as risky as traditional treatment using injectable Immiticide (melarsomine dihydrochloride). Unfortunately, it also doesn’t work in many cases. The latest recommendations for treatment advise veterinarians to discontinue this treatment approach. Researchers are concerned that not only is “slow-kill” ineffective, it may also increase the risk of drug-resistant heartworms emerging. The bottom line: heartworm preventives should be used only for preventing – not treating – heartworm disease. Give your dog or cat an approved monthly heartworm preventive year-round. As in every month January through December. Don’t miss it. If you do, call your vet. 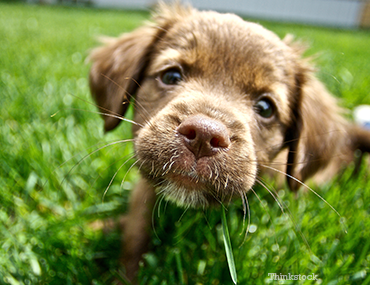 Have your dog, and possibly cat, tested for evidence of heartworm disease or exposure yearly. If diagnosed early enough, treatment is less risky and your pet has a better chance of an excellent outcome. Avoid mosquitoes as much as possible. Mosquitoes are most active at dawn and dusk and prefer wet, humid environments. Use pet-safe repellents when necessary. Conduct a neighborhood heartworm watch. You neighbor’s unprotected pets could be a hidden heartworm reservoir that puts your pet loved ones at risk. It takes a village to protect our pets. There is no treatment for heartworm disease in cats. Monthly preventive is your only hope. Mosquitoes conduct indoor excursions, too. At least in my house.